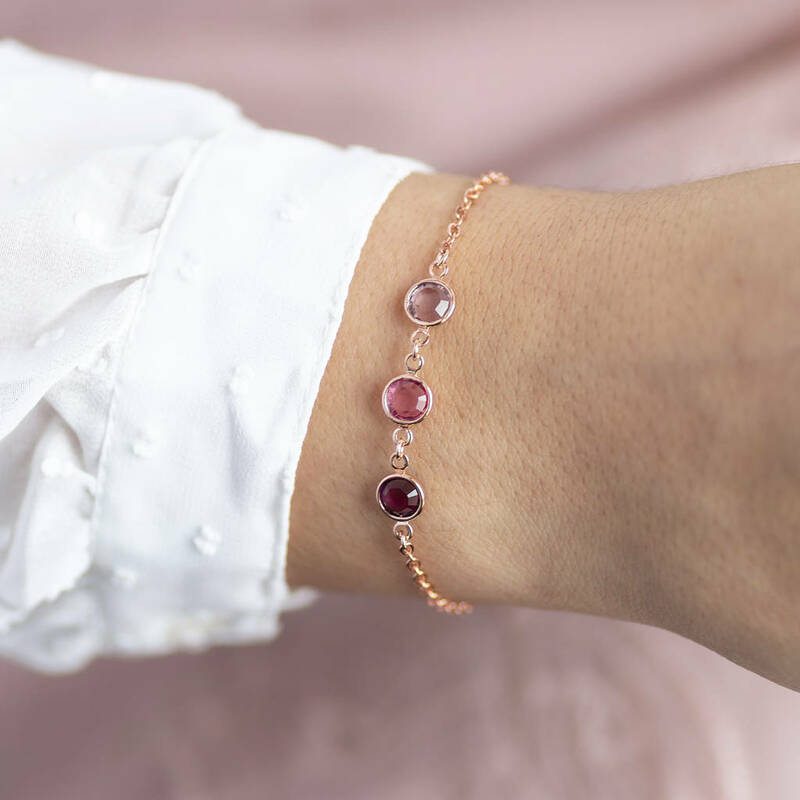 A beautiful family birthstone bracelet customised with stunning Swarovski crystal birthstone channels to represent your own unique family. 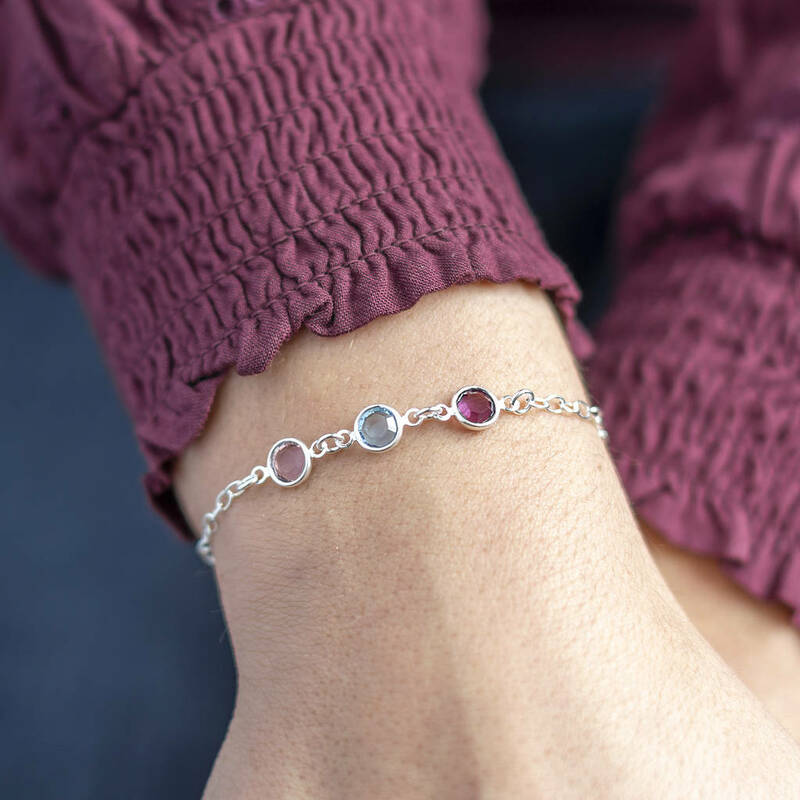 The bracelet would make the perfect gift for any mother, grandmother, sister or friend. A sentimental piece of jewellery to treasure forever. 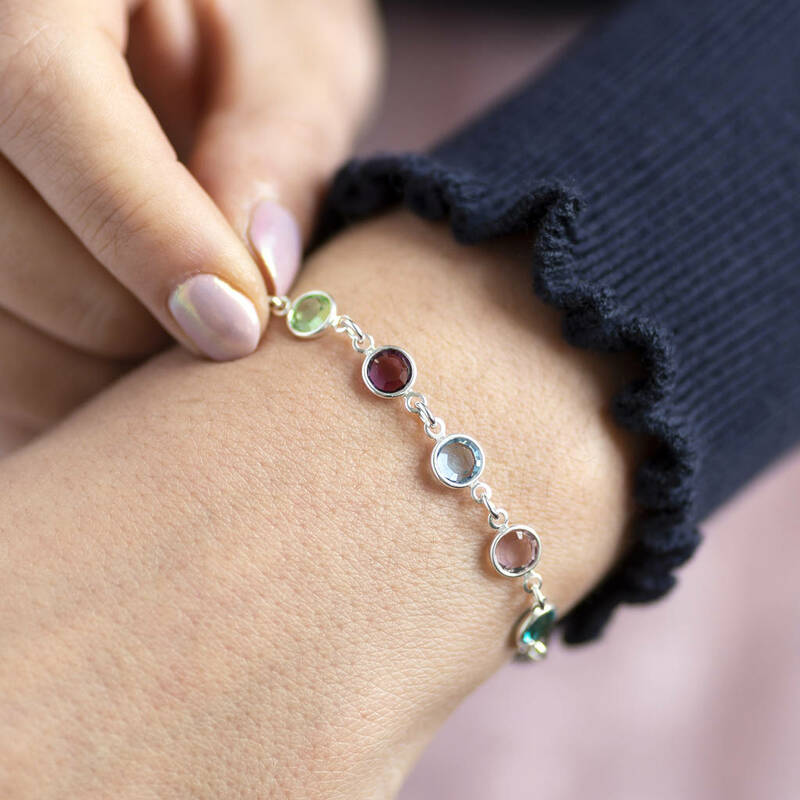 Keep family members in your thoughts and close to your heart by choosing a birthstone to represent each loved one. This item is lovingly handmade to order just for you in the Corrine Smith workshop. Available with sterling silver, silver plated, gold plated or rose gold plated chain. Available in 12 different shades. 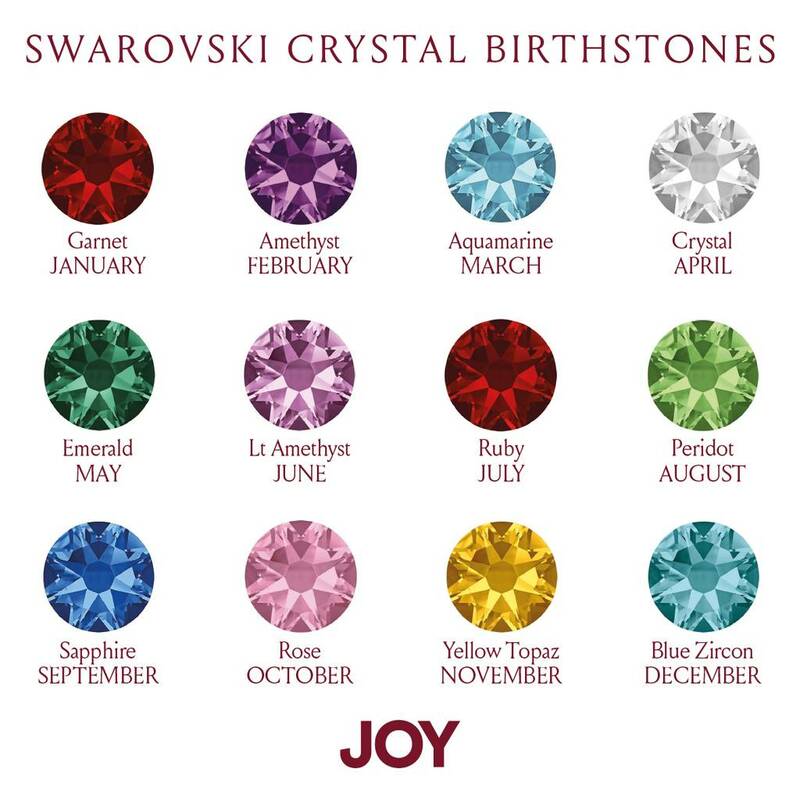 Simply choose the colour you prefer or give to match the recipient’s birthstone. Please note that we use Swarovski crystal 'Siam' shade for both garnet and ruby, as this most closely represents the real gemstone colours. 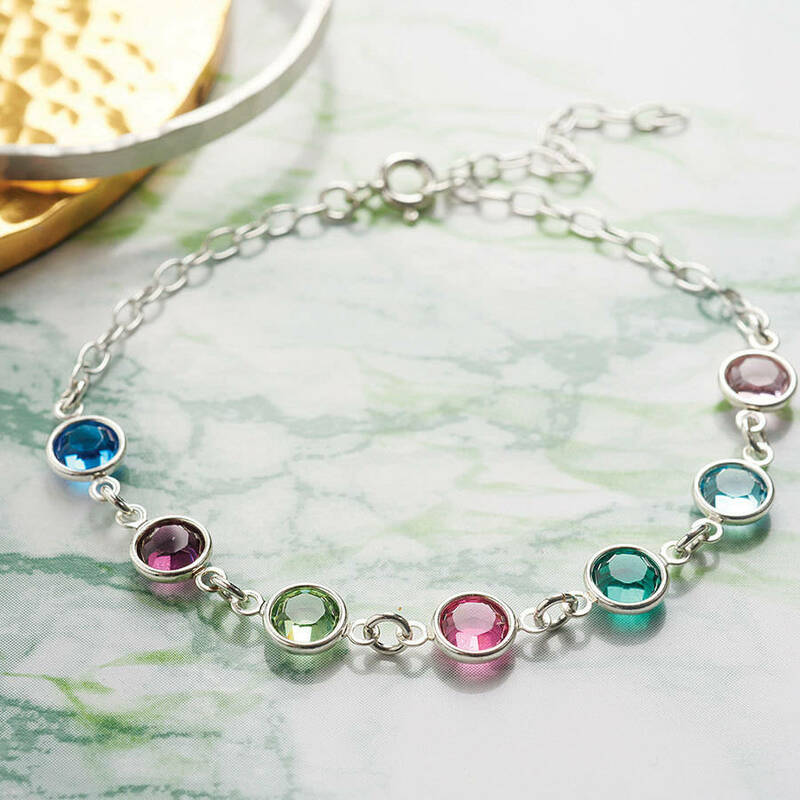 The stones in this bracelet will be placed from left to right on order of selection. Presented in an organza gift bag or branded gift box, with the sentiment card of your choice. 'Say it with jewellery' by choosing one of the sentiment cards we have designed exclusively for you to match the occasion. Browse the images to see the style of each card. Sterling silver, silver plated, gold plated or rose gold plated. Bracelet length is approx 18cm and is fitted with an extension chain. Swarovski crystals measure approx 0.6cm. This product is dispatched to you by Joy by Corrine Smith.